The Conservative Mind‘s author taught generations to re-enchant the world. 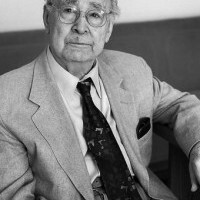 As an undergraduate, my first encounters with Professor Jeff Hart and The Dartmouth Review eventually led to my discovery of the works of Russell Kirk. Like William F. Buckley Jr., Kirk wrote about the need to raise, as historian George Nash put it, a “full-scale challenge to modernity”—in the arts, literature, religion, and politics. While both Buckley and Kirk enchanted me with their obvious love of language and mastery of words, it was Kirk who also managed to stir my spirit with an affection, kindness, and warmth that I did not find elsewhere. 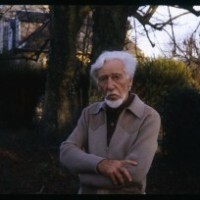 Here was a gentle, conservative aesthete. But I’m not the only one who was affected in such a way by Kirk. And last year, to mark the 60th anniversary of the publication of his most famous work, The Conservative Mind, there were several tributes. Last summer, The University Bookman, which Kirk founded in 1960, published an on-line symposium discussing the book. In July, the Liberty Fund also published a tribute, along with three excellent rejoinders. 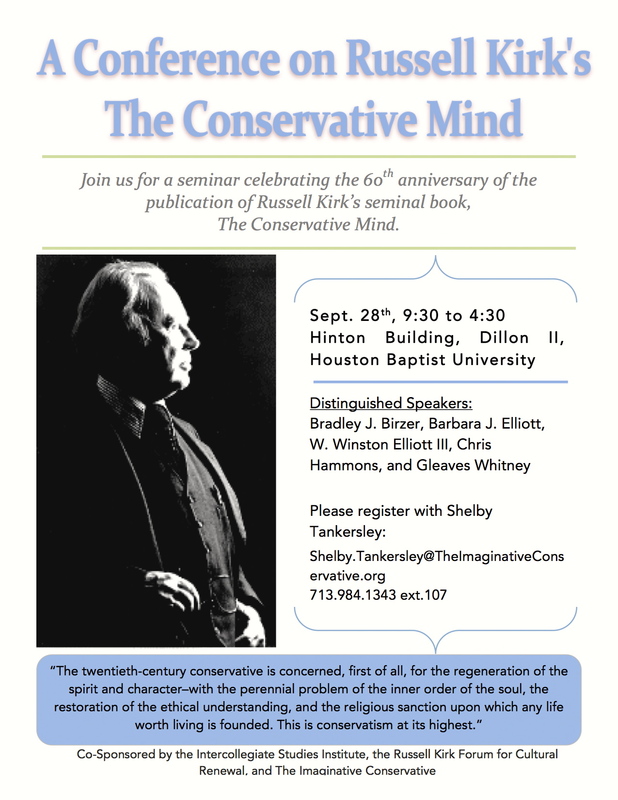 In September, two more events took place: Lee Edwards at the Heritage Foundation hosted a panel with Matthew Spalding, Yuval Levin, and Peter Wehner to discuss the book’s impact; and a few days later, the Intercollegiate Studies Institute, The Imaginative Conservative, and the Russell Kirk Center for Cultural Renewal co-sponsored a one-day seminar at Houston Baptist University. 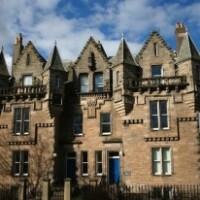 One of the more interesting commemorations took place October 18-20 in Scotland, where a distinguished group of students and academics joined members of the Kirk family and their close friends at the University of St. Andrews to discuss The Conservative Mind—and to remember, in Willmoore Kendall’s words, the “benevolent sage of Mecosta”. Some people aren’t aware that Kirk was a doctoral student at the University of St. Andrews; in fact, he remains the only American to have received a Doctor of Letters (D.Litt.) from that esteemed university. His dissertation, titled “The Conservative’s Rout”—later re-named The Conservative Mind in discussions with publisher Henry Regnery—is still on file at the university, and the anniversary celebrations in Scotland began, appropriately enough, with a viewing of the original dissertation on Friday afternoon. Attending the weekend’s events were a dozen or so promising young Americans, all current or former Wilbur Fellows who, after working for Russell and Annette Kirk, went on to study at St. Andrews. It was impressive to hear the deep affection with which each of them spoke about the Kirks—and about the time they spent at his ancestral home at Piety Hill. Various Europeans also joined the celebrations—for, despite his focus on an ‘Anglo-American’ political tradition, many of Kirk’s published works are known across Continental Europe. Some have even been translated into Spanish, German, and Italian, and his ideas have influenced a range of European scholars. In Germany, Kirk’s contributions as a ‘conservative man of letters’ were recognized as so important, that he merited a lengthy entry (and photograph) in the Lexikon des Konservatismus (Dictionary of Conservatism), a 1996 work edited by the German noble, Caspar von Schrenck-Notzing. Today even young members of Sweden’sKonservativt Forum are wont to quote Kirk approvingly. The always charming and energetic Annette Kirk was also present in Scotland, along with two of her daughters and their families. On Friday evening, she hosted a private reception and dinner at the cliff-side Russell Hotel, where guests were treated to a talk by André Gushurst-Moore, currently Director of Pastoral Care at Downside School, an institution attached to the Benedictine Downside Abbey in Somerset, England. Gushurst-Moore elaborated on some of the principal themes in Kirk’s works, speaking of Kirk’s defense of humane learning, the moral imagination, and “the permanent things.” Not coincidentally, these are precisely the themes closest to Gushurst-Moore’s own work. In his recent The Common Mind: Politics, Society and Christian Humanism from Thomas More to Russell Kirk (published in 2013 by Angelico Press), he profiles 12 great ‘Christian Humanists’ through the centuries, including Thomas More, Dr. Johnson, Edmund Burke, Orestes Brownson, and Russell Kirk, among others.